Ardee Castle is significant for being the largest fortified medieval Tower House in Ireland or Britain. Little remains of the original structure founded by Roger de Peppard in 1207; the current building was built in the 15th century by John St. Ledger. 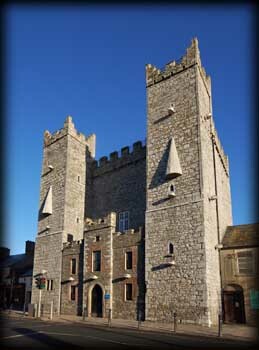 This castle's location on the main street of the Anglo-Norman town of Ardee suggests it's use not just as a residence but also for defense of the town. The town's strategic location has made it the site of many significant battles throughout history, and in medieval times it served as an outpost on the border between the Anglo Norman South and the Gaelic North. Between the 13th and 17th century it was in the hands of the English until the O'Neills took it over in a major struggle. James II used it as his headquarters for a month prior to the Battle of the Boyne. 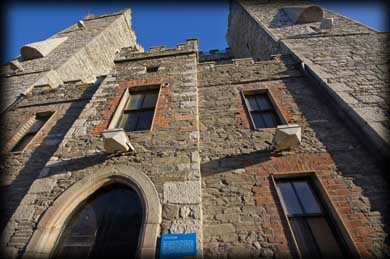 The tower house was converted into a Courthouse and prison in 1805 and continues to be used as the district courthouse with a new Civic Offices addition. 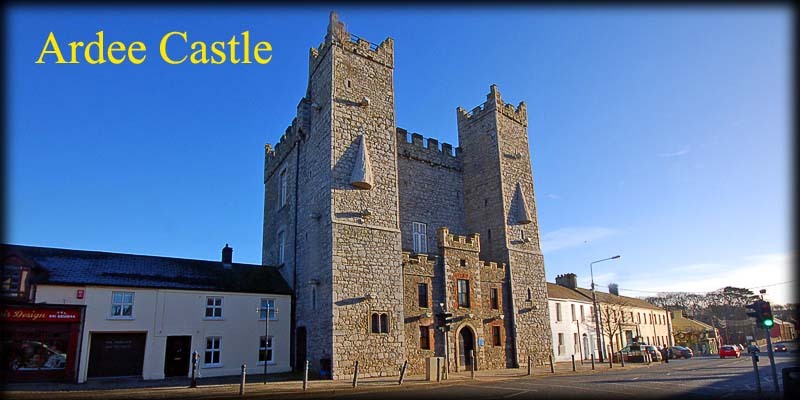 Situated: Very easy, as you enter Ardee from the south on the N2, the Castle is situated on your right. Discovery Map 36: N 963 905. Last visit January 2011.